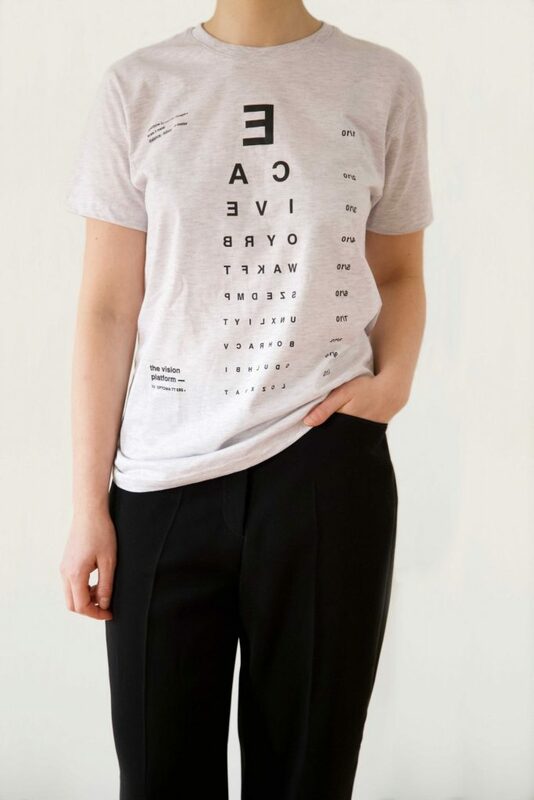 T-Shirt a Snellen chart printed in mirror image. 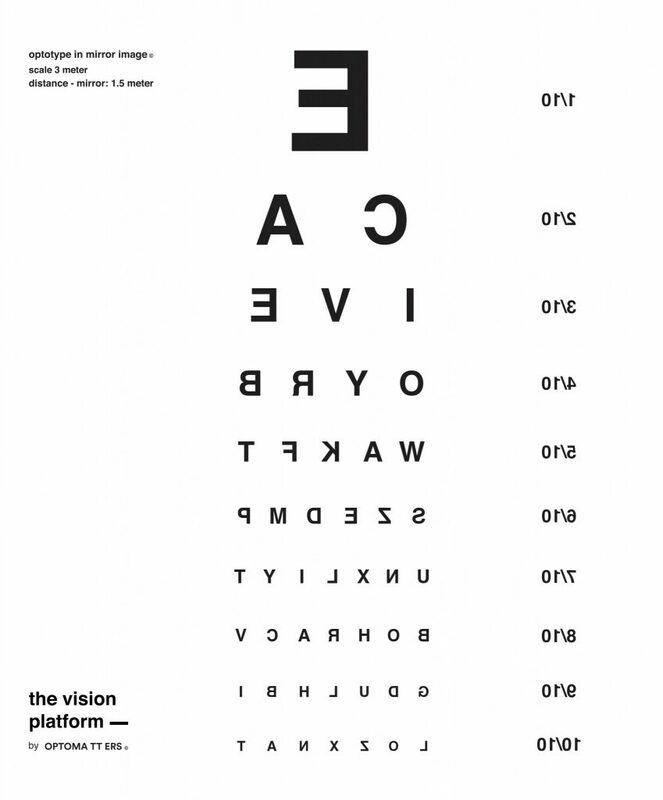 The letter card measures a visual acuity at a distance of 3 meters. The letters are printed in a mirror image so that the one who wears the T-Shirt can determine his vision changes. The working distance is 1,5 meter away from the mirror. In this way, the trainee can improve its vision with visual training exercises and instantly perceive it. Become aware of the use of the eyes in which the mirror gives the feedback. 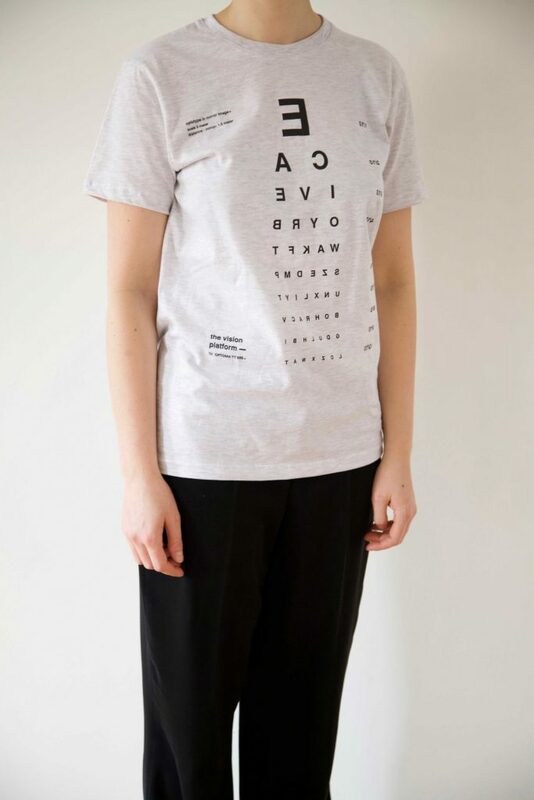 This shirt lends itself to a dynamic way to assess the status of the eyes. In case of Sport Vision Training reaching visual efficiency during movement is of primary importance and can be applied with this T-Shirt. To order, please fill in the contact form below.